Water resources in the Middle East are barely enough to cope with human demand, and their scarcity is a matter of discussion in many conclaves. However, it must be clarified that Lebanon has a rugged topography that sets it apart from the surrounding regions. Its small area is characterized by a mountainous terrain marked by several valley systems. Two mountain chains (Mount Lebanon to the west and Anti-Lebanon to the east) extend parallel to the Mediterranean Sea, and are separated by the Bekaa Plain, which comprises a relatively wide depression. Hence, Lebanon has many sources of surface water including rivers, springs, snowfalls and lakes; besides, many aquiferous rock formations and karstic conduits exist where groundwater can accumulate via seeping. However, complaints concerning the lack of understanding about the imbalanced water supply/demand in Lebanon are often a matter of debate, and the water budget is also not well-formulated yet. Added to the matter of water shortage and deterioration in quality thereof, challenges for water resources have only exacerbated. Thus, there are parallel paths stemming from both natural and human driving forces leading to increasing water stress. Climate change, pollution, over-exploitation and the mismanagement of trans-boundary water resources are amongst the geo-environmental problems that affect these resources. In particular, shared water is one of the major water problems in Lebanon. To date, there is no credible study to assess and allocate the shared water resources. Consequently, geo-political conflicts frequently arise due to the obscure nature of the hydrologic conditions. In addition, the absence of treaties and agreements is another reason affecting water sharing, which constitutes the principal cause of water loss. This is totally governed by the unstable political situation in the region. Arkadan, A., 2008. Climate change in Lebanon: prediction uncertain precipitation events-Do climatic cycles exist? In book on: Climatic changes and water resources in the Middle East and North Africa. Springer, pp. 59-71. Beydoun, Z., 1972. A new evaluation of the petroleum prospects of Lebanon with special reference to the Pre-Jurassic. 18th Arab Pet. Cong., Algeria, 80(B-3). Beydoun, Z., 1977. Petroleum prospects of Lebanon: re-evaluation. American Association of Petroleum Geologists, 61, 43-64. Beydoun, Z., 1988. The Middle East: Regional Geology and Petroleum Resources. Scientific Press Ltd., London, 296p. Bou Zeid, E. and El-Fadel. 2002. Climate change and water resources in Lebanon and the Middle East. Journal of Water Resources Planning and Management. 128:5 (343), pp343-355. CAL. Atlas Climatique du Liban. 1982 Tome II (Climate Atlas of Lebanon, Volume 2). Service Météorologique, Ministère des publics et Transports (Meteorological Service, Department of Public Works and Transport). 40p. CNRSL (National Council for Scientific Research, Lebanon). 2015. Regional Coordination on Improved Water Resources Management and Capacity Building. Regional project. GEF, WB. Dubertret, L. 1953. Carte géologique de la Syrie et du Liban au 1/50000 me (Geological Map of Syria and Lebanon to 1/50000 me). 21 feuilles avec notices explicatrices. Ministère des Travaux Publics (21 sheets with explicatrices notices. Ministry of Public Works). L’imprimerie Catholique, Beyrouth, 66p. Dubertret, L., 1955. Carte géologique de la Syrie et du Liban au 1/200000me. 21 feuilles avec notices explicatrices. Ministère des Travaux Publics. L’imprimerie Catholique, Beyrouth, 74p. ESCWA, 1999. Water Resources Issues in The Western Asia Region. Regional Preparatory Meeting for "The 4th World Water Forum.” Mexico, March 2006" Beirut, 29 September 2005. Fawaz, M. 2007. Towards a water policy in Lebanon. Published book, ESIB (In Arabic), Beirut, Lebanon. 259p. Hakim, B., 1985. Recherches hydrologiques et hydrochimiques sur quelques karsts méditerranéens: Liban, Syrie et Maroc. Publications de l’Université Libanaise. Section des études géographiques, tome II, 701p. Jaber, B., 1995. Water problems of Lebanon. National Congress on Water Strategic Studies Center. Beirut (in Arabic), 67p. Khawlie, M. and Shaban, A. 2003. Desk Study Report on: Lebanese-Syrian Shared Aquifers. Published by UN-ESCWA and BGR (United Nations Economic and Social Commission for Western Asia; Bundesanstalt für Geowissenschaften und Rohstoffe). Beirut. Khawlie, M., 2000. Assessing water resources of Lebanon in view of climate change. Workshop on: Soil and Groundwater Vulnerability to Contamination. ACSAD-BGR, Beirut, 7-10/2/2000, 19p. Lonergan, S., Brooks, D., 1994. Watersheds: the roles of fresh water in the Israeli-Palestinian conflict. International Development Research Center. IDRC Books, Ottawa, 310p. Rey, J., 1954. Carte pluviométrique du Liban au 1/200000me. Ministère des Travaux Publics, République Libanaise. Shaban, A. 2003. Etude de l’hydrogéologie au Liban Occidental: Utilisation de la télédétection. Ph.D. dissertation. Bordeaux 1 Université. 202p. Shaban. A. 2011. Analyzing climatic and hydrologic trends in Lebanon. Journal of Environmental Science and Engineering, No. 3, Vol. 5, 2011. Shaban, A., 2014. Physical and Anthropogenic Challenges of Water Resources in Lebanon. Journal of Scientific Research and Reports. Vol. 3 Issue 3. 2014. 164-179. Shaban, A., Darwich, T., Drapeau, L, Gascoin, S. 2014. Climatic Induced Snowpack Surfaces on Lebanon’s Mountains. Open Hydrology Journal. 2014 (8) 8-16. Shaban, A., Houhou, R. 2015. Drought or humidity oscillations? The case of coastal zone of Lebanon. Journal of Hydrology. 529(2015):1768-75. Shaban, A. 2016. New Economic Policies: Instruments for Water Management in Lebanon. Hydrology: Current Research. 2016 (7:1) 1-7. Shahin, M., 1996. Hydrology and Scarcity of Water Resources in the Arab Region. Balkema/Rotterdam/Brookfield, 137p. UNDP, FAO, 1983. Spate irrigation. Prove Sub-regional Experts Consultation on Wadi development for agriculture. In AG: UNDP/RAB/84/030. Abd EL-Al, I. 1953. Statics and dynamics of water in the Syro-Lebanese limestone massif. Ankara symposium on arid zone hydrology, Ankara, Turkey, UNESCO, 60-76. CNRSL. 1999. TIR survey for freshwater sources in the marine environment. National Center for Remote Sensing. Final Report. LNCSR. NCRS, 103p. Mhawej, M. Faour, G. Fayad, A. and Shaban, A. 2014. Towards an enhanced method to map snow cover areas and derive snow-water equivalent in Lebanon. Journal of Hydrology. 513 (2014) 274-282. Mudalal, S., 1989. Water resources in Lebanon. Dar Al Fikr Al-Arabi, Beirut, 120p. Shaban, A., Faour, G., Khawlie, M., and Abdallah, C., 2004. Remote sensing application to estimate the volume of water in the form of snow on Mount Lebanon. Hydrological Sciences Journal, 49(4):643-653. Shaban, A., Khawlie, M., Abdallah, C., and Faour G. 2005. Geologic controls of submarine groundwater discharge: application of remote sensing to north Lebanon. Environmental Geology, 47(4):512-522. Shaban, A., Robinson, C., El-Baz, F. 2009. Using MODIS Images and TRMM Data to Correlate Rainfall Peaks and Water Discharges from the Lebanese Coastal Rivers. Journal of Water Resource and Protection (4): 227-236. Shaban, A. and Darwich, T. 2013. Investigating snow characteristics on mountain chains of Lebanon. First CIGR Inter-regional Conference on Land and Water Challenges, Bari, Italy, 10-14 September. Shaban, A., Darwich, T. El-Hage, M. 2014. Shaban, A. Faour, G., Stephan, R., Khater, C., Darwich, T., Hamze, M. 2016. Chapter title: Assessment of coastal in wetlands in Lebanon. In Book on: Coastal Zones: Management, Assessment and Current. Nova Publisher. 134p. Abbud, M., and Aker, N. 1986. “The Study of the Aquiferous Formations of Lebanon through the Chemistry of their Typical Springs.” Lebanese Science Bulletin 2(2):5–22. Azar, D. 2000. “Contribution à l’étude de la source karstique d’Afka.” Mémoire de DEA, Université Saint- Joseph, Liban. 104p. Bakalowicz, M. 2005. “Karst Groundwater: A Challenge for New Resources.” Hydrogeology Journal 13(1):148–160. CNRSL (National Council for Scientific Research, Lebanon). 2015. “Regional Coordination on Improved Water Resources Management and Capacity Building.” Regional Project. Global Environmental Facility (GEF) and World Bank. Edgell, H. 1997. “Karst and Hydrogeology of Lebanon.” Carbonates & Evaporites 12:220–235. Guerre, A. 1969. “Etude Hydrogéologique Préliminaire des Karsts Libanais.” Hannon 4:64–92. Hakim, B. 1985. “Recherches Hydrologiques et Hydrochimiques sur quelques Karsts Méditerranéens: Liban, Syrie et Maroc.” Publications de l’Université Libanaise. Section des études géographiques, tome II, 701p. Khair, K., Aker, N., Haddad, F., Jurdi, M., Hachach, A. 1994. “The environmental impact of human on groundwater in Lebanon.” Water, Air and Pollution. Kluwer Academic Publications, 78:37-49. Khawlie, M., 2000. “Environmental problems related to water resources in Lebanon and requirements for sustainability.” Workshop on: Integrated Management & Sustainable Use of Groundwater & Soil Resources in the Arab World. ACSAD, BGR, LAS, Damascus, 17-20/7/2000, 17p. Ibrahim, A., Al Hajj, M., and El Hage, M. 2015. “Use of Geomatic Approaches to Characterize Arqa River Basin: A Typical Coastal Lebanese River.” Open Journal of Modern Hydrology 5:45–57. Shaban, A. 2003. “Etude de l’hydrogéologie au Liban Occidental: Utilisation de la télédétection.” PhD diss., Bordeaux 1 Université. 202p. Shaban, A., Abdallah, C., Bou Kheir, R., and Jomaa, I. 2000. “Conduit Flow: An Essential Parameter in the Hydrologic Regime in Mount Lebanon. Proceeding of KARST 2000 Conference: 17–26. Shaban, A., Khawlie, M., and Abdallah, C. 2005. “Use of Remote Sensing and GIS to determine Recharge Potential Zones: The Case of Occidental Lebanon.” Hydrogeology Journal 14 (4):433–443. Shaban, A., and Khawlie, M. 2006. “Lineament Analysis through Remote Sensing as a Contribution to Study Karstic Caves in Occidental Lebanon.” Revue Photo-interprétation. AGPA Edition. 4:2006. Shaban, A, Farouk El-Baz, and Khawlie, M., 2007. “The Relation between Water-Wells Productivity and Lineaments Morphometry: Selected Zones from Lebanon.” Nordic Hydrology 38(2):178–201. Shaban, A. 2010. “Support of Space Techniques for Groundwater Exploration in Lebanon.” Journal of Water Resource and Protection 5: 354–368. Somma, J., Gédéon, B. and Saliba-Badaro, N. 1998. Mise en relation du réseau de linéaments de surface avec les directions majeures d’écoulement souterrain dans un milieu karstique du Mont Liban à l’aide d’images HRV de SPOT et TM de Landsat. La réalité de terrain en télédétection: pratiques et méthodes. Ed. AUPELFUREF, 289–294. UNDP. 1970. Liban: Etude des eaux souterraines. Programme des Nations Unies pour le développement, N.Y. DP/SF/UN, 44, 185p. UNDP. 2014. 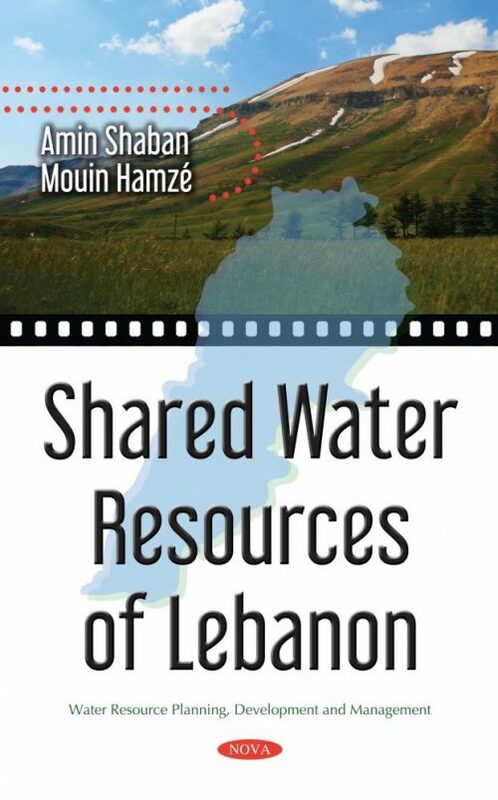 “Assessment of Groundwater Resources in Lebanon.” Ministry of Environment and UNDP:85p. Aoudeh, S. 1974. “Geology of the area of Ain Dara.” Unpublished B.Sc. Thesis, American University of Beirut, Geology Department, 56p. Arkadan, A. 1992. “The geology, geomorphology and hydrogeology of the Damour-Awali area coastal and hinterland.” Unpublished M.Sc. Thesis, American University of Beirut, Geology Department, 210p. Bou Zeid, E., and El-Fadel. 2002. “Climate Change and Water Resources in Lebanon and the Middle East.” Journal of Water Resources Planning and Management 128:5 (343):343–355. Canaan, G. 1992. “The hydrogeology of western slopes and coastal plain of Zaharani-Awali region.” Unpublished M.Sc. Thesis, American University of Beirut, Geology Department, 85p. CNRSL (National Council for Scientific Research, Lebanon). 2015. “Regional Coordination on Improved Water Resources Management and Capacity Building.” Regional Project. GEF, WB. ESCWA. 2005. “Water Resources Issues in the Western Asia Region.” Regional preparatory meeting for “The 4th World Water Forum,” Mexico, March 2006. Beirut, 29 September 2005. Karam, F. 2009. “Climate Change and Variability in Lebanon: Impact on Land Use and Sustainable Agriculture Development.” Unpublished Report. http://www.fao.org/sd/climagrimed/pdf/ws01_ 24.pdf. Lovallo, M., Shaban, A., Darwich, T., and Telesca, L. 2013. “Investigating the time dynamics of monthly rainfall time series observed in northern Lebanon by means of the detrended fluctuation analysis and the Fisher-Shannon method.” Acta Geopysica. doi: 10.2478/s11600-012-0094-9. Ramadan, H., Beghley, R., and Ramamurthy, A. 2013. “Temperature and Precipitation Trends in Lebanon’s Largest River: The Litani River.” Journal of Water Resources Planning and Management 139:86–95. Shaban, A. 2011. “Analyzing Climatic and Hydrologic Trends in Lebanon.” Journal of Environmental Science and Engineering 5(3). Shaban, A. 2014. “Physical and Anthropogenic Challenges of Water Resources in Lebanon.” Journal of Scientific Research and Reports 3(3):164–179. Shaban, A. 2016. “New Economic Policies: Instruments for Water Management in Lebanon.” Hydrology: Current Research (7:1):1–7. Shaban, A., and Douglas, E. 2008. “Trans-boundary Water Resources of Lebanon: Monitoring and Assessment.” Regional Meeting on Matter in the Mediterranean Basin, 9–11. Shaban, A., and Houhou, R. 2015. “Drought or Humidity Oscillations? The Case of Coastal Zone of Lebanon.” Journal of Hydrology 529:1768–75. Telesca, L., Shaban, A., Gascoin, S., L., Darwich, T., Drapeau, L., El-Hage, M., and Faour, G. 2014. “Characterization of the Time Dynamics of Monthly Satellite Snow Cover Data on Mountain Chains in Lebanon.” Journal of Hydrology 519:3214–3222. ADB (Asian Development Bank). 2009. “Shared Water Resources.” Annual Report. Project No. 36516-012. Beyene, Z., and Wadley. I. 2004. “Common Goods and the Common Good: Shared Natural Resources, Principled Cooperation, and the Nile Basin Initiative. Center for African Studies Breslauer. Symposium on Natural Resource. Issues in Africa. 43p. Bonacci, O. 2004. “Challenges in Trans-Boundary Karst Water Resources Management.” http://www.inweb.gr/twm4/abs/ BONACCI%20Ognjen.pdf. Draper, 2007. “Introduction to Shared Water Sharing.” The Journal of Water Resource Planning and Management 133:377–381. Frey, F, W. 1993. “The Political Context of Conflict and Cooperation over International River Basins.” International Water Resources Association 15:223–230. Khawlie, M., and Shaban, A. 2003. Desk Study Report on Lebanese-Syrian Shared Aquifers. Published by UN-ESCWA and BGR (United Nations Economic and Social Commission for Western Asia; Bundesanstalt für Geowissenschaften und Rohstoffe). Beirut. LeMarquand, D. 1990. “International Development of the Senegal River.” International Water Resources Association 18:54–68. Shaban, A. 2010. “Support of Space Techniques for Groundwater Exploration in Lebanon.” Journal of Water Resource and Protection 5:354–368. UN-Water. 2008. “Shared Waters: Sharing Benefits, Sharing Responsibilities.” Thematic paper: 16p. Wolf, A. 2007. “Shared Waters: Conflict and Cooperation.” The Annual Review of Environment and Resources 32:3.1–3.29. Abd EL-Al, I. 1953. “Statics and Dynamics of Water in the Syro-Lebanese limestone massifs.” Ankara Symposium on Arid Zone Hydrology, UNESCO:60–76. Amery, H. 2002. “Water Wars in the Middle East: A Looming Threat.” The Geographical Journal 3 (168):313–323. Comair, F. 2003. “Hydrodiplomacy of Middle Eastern Countries along with the UN Convention on Non-Navigational Uses of International Watercourses: Case Study of Orontes and Naher El Kabir.” Workshop on: Enhancing Negotiation Skills on Shared Water Issues for Palestine, Dead Sea. Haddadin, M., J. 2001. Diplomacy on the Jordan: International Conflict and Negotiated Resolution. Norwell, MA. : Kluwer Academic. Morisawa, M. 1976. Geomorphology Laboratory Manual. New York: John Wiley & Sons Inc. 253p. Pike, R., and Wilson, S. 1971. “Evaluation-relief Ratio Hypsometric Integral and Geomorphic Area-Altitude Analysis.” GSA Bull 82:1079–1084. Shaban, A., Darwich, T., Drapeau, L., and Gascoin, S. 2014. “Climatic Induced Snowpack Surfaces on Lebanon’s Mountains.” Open Hydrology Journal (8):8–16. Shaban, A., 2014. “Physical and Anthropogenic Challenges of Water Resources in Lebanon.” Journal of Scientific Research and Reports 3(3):164–179. Shaban, A., Faour, G., Khawlie, M., and Abdallah, C. 2004. “Remote Sensing Application to Estimate the Volume of Water in the Form of Snow on Mount Lebanon.” Hydrological Sciences Journal 49(4):643–653. Shaban, A., Khawlie, M., Abdallah, C., and Awad, M. 2005. “Hydrological and Watershed Characteristics of the El-Kabir River, North Lebanon. Lakes and Reservoirs—Research and Management 10(2): 93–101. UN-ESCWA and BGR (United Nations Economic and Social Commission for Western Asia; Bundesanstalt für Geowissenschaften und Rohstoffe). 2013. Inventory of Shared Water Resources in Western Asia. Beirut. 221p. Abbud, M., and Aker, N., 1986. “The Study of the Aquiferous Formations of Lebanon through the Chemistry of their Typical Springs.” Lebanese Science Bulletin 2(2):5–22. Dubertret, L. 1953. Carte géologique de la Syrie et du Liban au 1/50000me. 21 feuilles avec notices explicatrices. Ministère des Travaux Publics, 66p. Dubertret, L., 1955. Carte géologique de la Syrie et du Liban au 1/200000me. 21 feuilles avec notices explicatrices. Ministère des Travaux Publics, 74p. Shaban, A. 1987. “Geology and Hydrogeology of Nabatieh Area.” MSc Thesis., Geology Dept. American University of Beirut. 102pp. Shaban, A. Faour, G., Stephan, R., Khater, C., Darwich, T., and Hamze, M. 2016. “Assessment of Coastal in Wetlands in Lebanon.” In Coastal Zones: Management, Assessment and Current Challenges, 134p. Nova Publisher., NY. Bassil, Y. 2012. “Water Geopolitics in the Middle East.” Journal of Science (JOS), 2(3):156–165p. Comair, F. 2003. “Hydrodiplomacy of Middle Eastern countries along with the UN Convention on Non-Navigational Uses of International Watercourses: Case study of Orontes and Naher El Kabir.” In Preparatory Workshop on Enhancing Negotiation Skills on Shared Water Issues for Palestine, Dead Sea. Hassan, S., Thomas, R., Shaban, A., Kawass, I., and Khawlie, M. 2005. “Phosphorus and Nitrogen in the Waters of the El-Kabir River Watershed in Syria and Lebanon.” Lakes and Reservoirs: Research and Management 10(2):109–116pp. Salman, S. 2007. “The Helsinki Rules, the UN Watercourses Convention and the Berlin Rules: Perspectives on International Water Law.” Water Resources Development 23(4):625–640. Stephan, R. M. 2011. “The Draft Articles of the Law of Transboundary Aquifers: The Process at the UN ILC.” International Community Law Review (13):3pp. Thomas, R., Shaban, A., Khawlie, M., and Kawass, I. 2005. “Geochemistry of the Sediments of Waters of the El-Kabir River Watershed in Syria and Lebanon.” Lakes and Reservoirs: Research and Management 10(2):127–134pp. UN. 2005. “Convention on the Law of the Non-navigational Uses of International Watercourses 1997.” 18pp. UN. 2008. “Draft Articles on the Law of Transboundary Aquifers.” 10pp. Varis, O., Tortajada, C., and Biswas, A. K. 2008. Management of Transboundary Rivers and Lakes. Berlin: Springer-Verlag.